According to sources, a mentoring programme for ‘TB champions’ will be conducted in six states, while a community monitoring app will be launched next month. Union Health Minister J P Nadda. 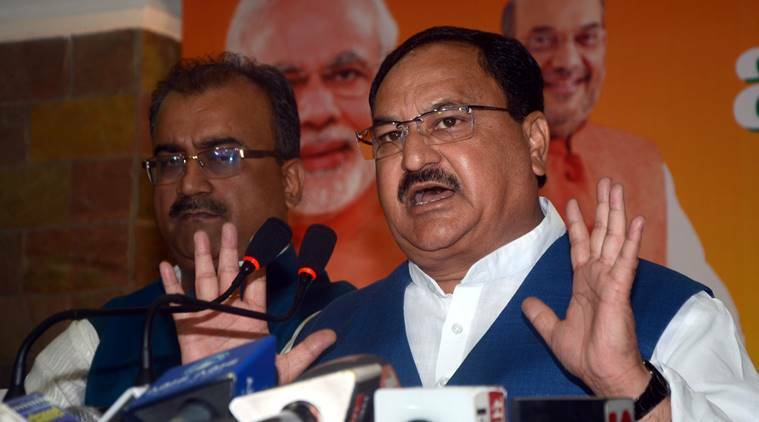 Union Health Minister J P Nadda on Tuesday said ‘TB Champions’, who survived tuberculosis, should be identified to raise awareness about the disease and meet a deadline, set by Prime Minister Narendra Modi, to make India TB-free by 2025. A review meeting of Revised National Tuberculosis Control Program (RNTCP), chaired by Nadda, discussed that “1-2 million TB champions” could be recruited to help create better awareness, case detection and patient compliance. While TB champions have been designated for such work earlier, this is the first time that they will be roped in as frontline workers of such a programme. According to sources, a mentoring programme for ‘TB champions’ will be conducted in six states, while a community monitoring app will be launched next month. TB kills an estimated 480,000 Indians every year and more than 1,400 every day. India also has more than a million ‘missing’ cases every year, which are cases that are not notified and most remain either undiagnosed or unaccountably and inadequately diagnosed and treated in the private sector. Earlier this year, India made it a punishable offence for doctors and diagnostic labs not to report TB cases. TB was made notifiable in 2012, but compliance has never been perfect. For 2018, India has set a target to detect 24,60,000 TB cases. “We are looking at 1-2 million TB champions — there is a changed case detection protocol that they will help us with. We also discussed the ongoing field trials for the TrueNAT machines developed by ICMR. There are 100 cars currently in the field. The reports will come in. It is cheaper than the present CBNAT machines…TB champions will be an important part of the strategy,” said a source, who was present at the meeting. TrueNAT is homegrown technology that the ministry hopes to roll out at a capital cost of about Rs 4.5 lakh and Rs 600 test kit cost. Over the next five years, there will be more than 5,000 TrueNAT labs. For the first year the target is to set up 1800 labs at a cost of Rs 81 crore.